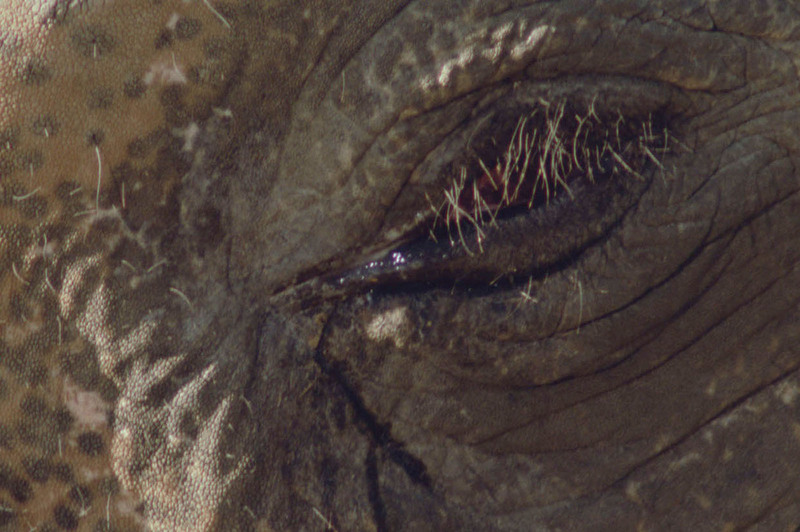 Note / Van Warmerdam wished to extend the cautious blinking of an elephant’s eye, which must have already witnessed so much throughout evolution, towards the present day by placing the film in a sculpture with an elongated roof. 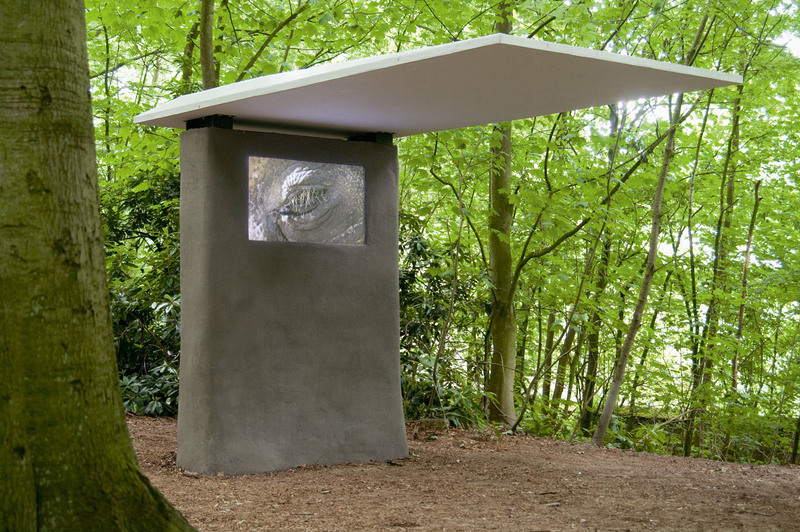 Note / This elephant in the procession on the opening day of the Sonsbeek exhibition helped draw the public’s attention to the film sculpture Het grote geheugen in Sonsbeek Park. 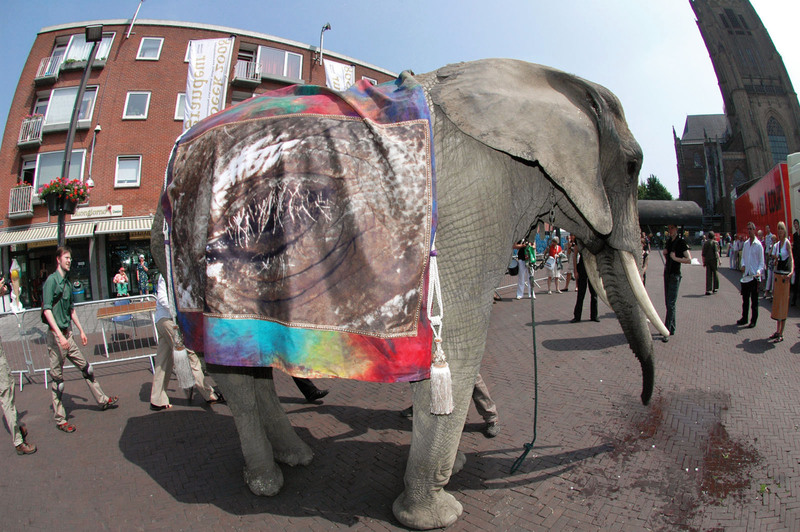 The cloth on the animal’s back shows a film still, which, in the context of the procession through the city of Arnhem, was intended mainly as a promotional element.